The Road Haulage Association has taken the next step in its £5 billion claim for compensation from a group of commercial vehicle manufacturers with submission of its application to the Competition Appeal Tribunal. In July 2016, DAF, Daimler, Iveco, MAN and Volvo/Renault all admitted to having participated in a price-fixing cartel between 1997 and 2011. Scania denied any wrongdoing but, following an investigation by the European Commission, was also found to have participated in the cartel. Collectively, the truck manufacturers were fined more than €3.8 billion. 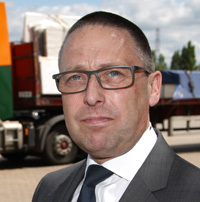 Richard Burnett, CEO at the Road Haulage Association. RHA chief executive Richard Burnett said: “We estimate that the truck cartel will have impacted upon the buyers of 600,000 trucks that were purchased in the UK between 1997 and 2011, amounting to a potential compensation claim of over £5bn. On the same basis, we estimate that operators in the rest of Europe bought 3.4 million trucks and could also be due compensation of over £25bn. The RHA decided to launched collective proceedings in August 2016. More than 3,600 operators have signed up to the RHA claim, representing over 160,000 trucks sold or leased during the cartel period. A further almost 700 operators have registered their interest and are in the process of signing up.